Born on the 2nd of June in Charlottenburg, Germany, The young animator started playing with silhouettes while still in school to entertain her classmates with recreations of Shakespeare plays out of shadows. 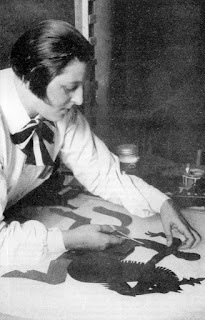 Innitially Lotte Reiniger (See fig 1) wanted to be an actress and studied with Max Rheinhardt at the Deutsches Theater Berlin until in 1910 where Reiniger turned her focus to animation, creating more than 60 animation between the years of 1910 and the late 1970's, out of the initial 60 only around 40 have survived the years. 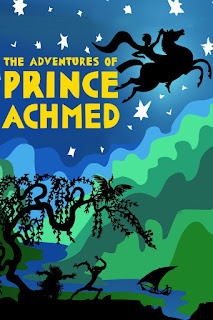 Often drawing ideas from fairy tales and european folklore Reiniger's only full length feature film was titled "The Adventures of Prince Achmed" (See fig2) which took 3 years to create and was released in 1926, often being credited as cinemas first ever full-length animation. In the 1930's Reiniger left Germany because in her own words: "I didn't like this whole Hitler thing and because I had many Jewish friends whom I was no longer allowed to call friends", she settled in England with her husband Carl Koch and together created the company "Primrose Productions" through which she produced several animations for the BBC. Reiniger passed away on the 19th of June 1981 at the age of 82.